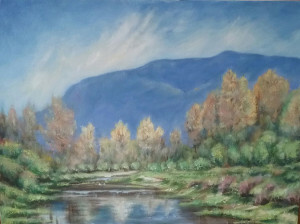 Paul Buten has lived on the North Shore since 1970 and has a great appreciation for “clouds and the quality of air and light” all around him, which often inspires him to get out his oil paints and to create something. 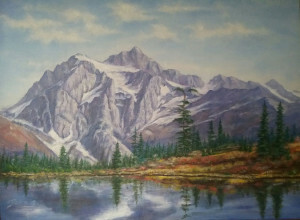 Paul Buten lives and paints in Deep Cove, British Columbia. His recent focus on western landscapes and marinescapes comes through a fascination with the light and clouds intergral to his daily environment and through his many forays into the coastal wilderness of British Columbia. Paul Buten was born in Munich and raised in Benediktbeuern, a municipality in the district of Bad Tölz-Wolfratshausen in Bavaria, Germany. Raised in this picturesque village in the mountains of Bavaria, he was tutored by his artist father as well as the regional painters and wood carvers that conducted local workshops. 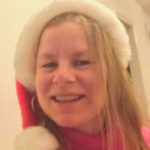 Paul also spent over ten years in Switzerland and Sweden, working at many different jobs in various locations. Paul immigrated to Canada and settled in Vancouver in 1970. 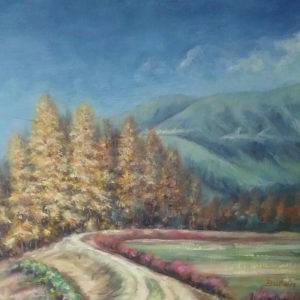 His preferred medium is oil and though skilled in portraiture, his work has come full circle to settle on the mountains, forest, clouds and water that so intrigued him as a child. 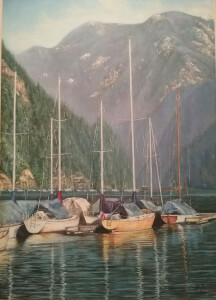 See his photo gallery with hand-painted works of art that are now for sale, showcasing Deep Cove, Whistler and Beautiful British Columbia. 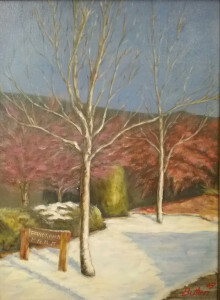 Paul is an active member of the Federation of Canadian Artists and can be found on the website http://www.myartclub.com. Just go to “Find Artist” and type in his name! 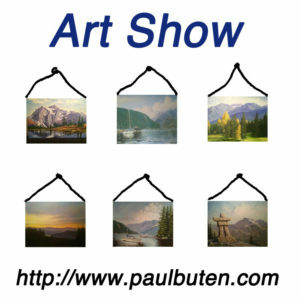 Paul is also a member of the German Canadian Business Association and is a very active supporter of the arts. 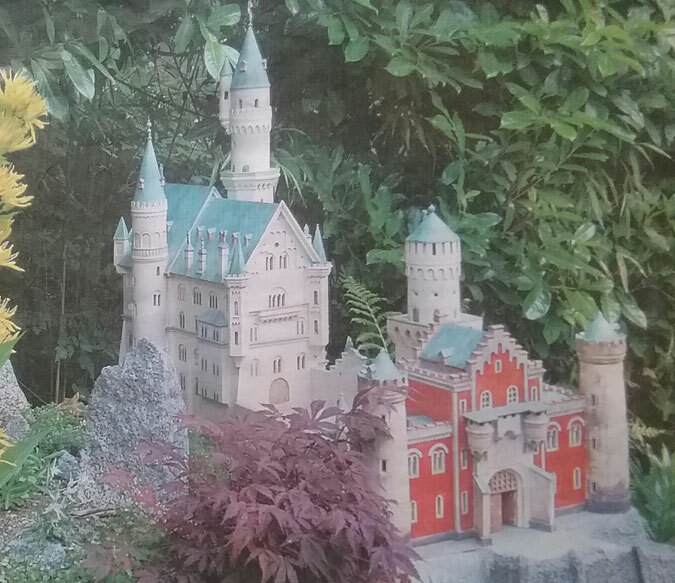 One thing I personally appreciated about Paul Buten, is when he generously offered to showcase his hand-crafted castle, based on the famous Neuschwanstein one in Germany, at the featured German tent in 2014 at the European Festival, held in Burnaby on an annual basis. The castle, as well as a small replica of a Bavarian House are for sale, as well.